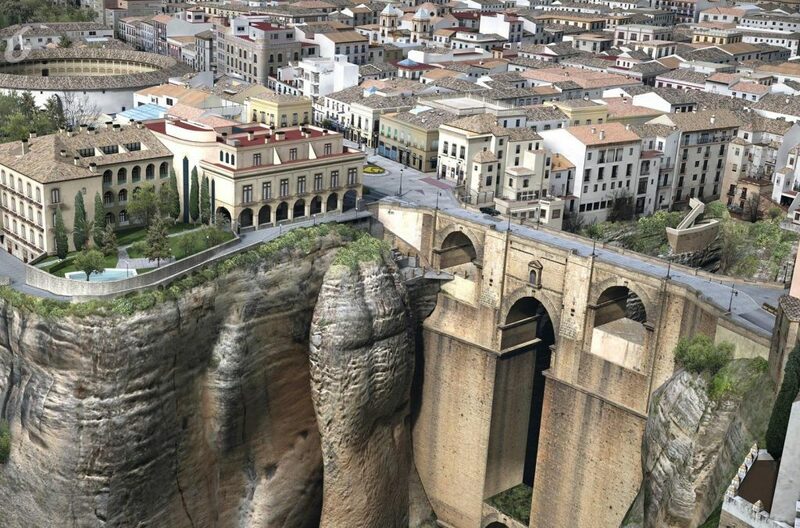 This tour takes an in depth look at the southern regions of Spain and as well as the major towns and cities, it enables you to discover smaller regional towns such as Caceres and Ronda which are both very interesting and feature some amazing scenery, so it is well worth having them included. Meet and assistance at the airport, transfer to the hotel. Balance of the day at leisure. Accommodation at the hotel. Breakfast at the hotel. 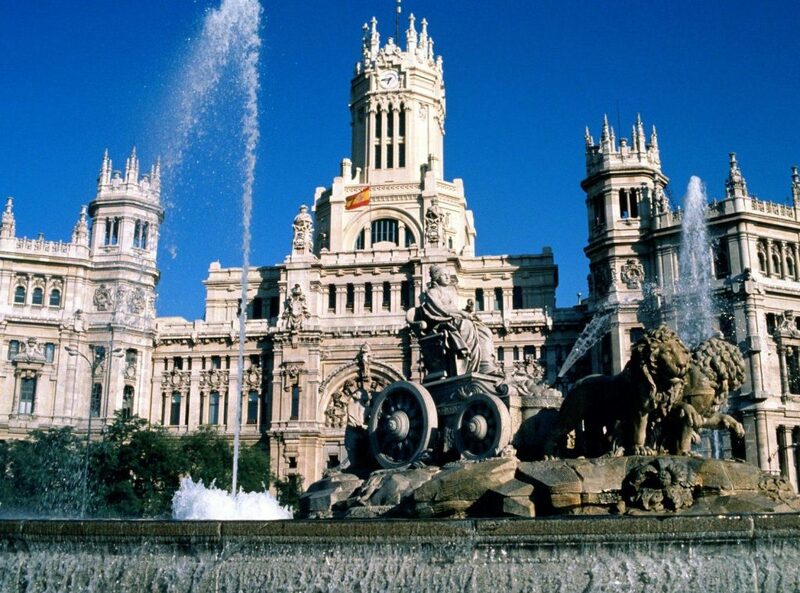 Have your morning Madrid panoramic city tour. Explore the medieval origins of the city, like the Arabic fortress, at the Barrio de la Morería, famous for its historical buildings. Drive through the courtesan district of the Hapsburgs characterized by Phillip II and its Renaissance and Baroque style buildings, Puerta del Sol, Plaza Mayor and Plaza de la Villa; the Madrid of the Bourbons and the complex town planning schemes of Charles III, the Royal Palace, Cibeles and Neptuno Fountains and the Puerta de Alcalá. Admire the XIX C. works such as Prado Museum. Discover contemporary Madrid with areas such as Gran Vía, Castellana, the district of Salamanca, Plaza Castilla and Parque del Oeste, as well as commercial and financial areas of Modern Madrid, the emblematic Las Ventas Bullring and the Santiago Bernabéu Football Stadium. You’re free in the afternoon to continue exploring the wonders of the city. Breakfast at the hotel. Pick up from your hotel and transfer to the bus terminal located in the underground parking of the Plaza de Oriente. 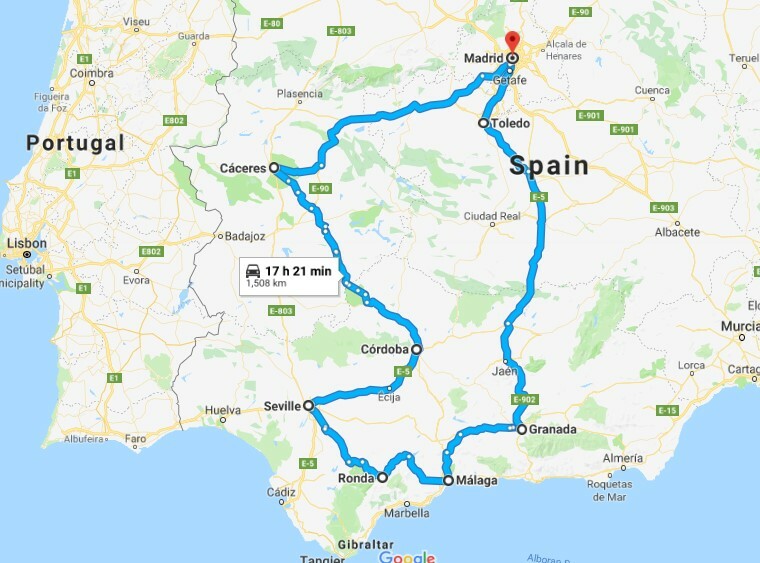 Depart at 8:30 am and drive westwards on a modern highway towards Extremadura, homeland of many discoverers of the new world. Arrive at Caceres, capital of the province, declared World Heritage City. Time at leisure to walk through the old town with its ancient walls and well-known medieval quarter. Afterwards, continue on driving south towards Cordoba, once the capital of the Caliphate. Dinner and accommodation at the hotel. Breakfast at the hotel. Take a City tour and see its impressive “Mosque”, today a Cathedral, and other sites that will ease your mind and spirit as you stroll through the narrow winding streets of the Jewish Quarter. Continue on towards Seville. Dinner and accommodation at the hotel. After breakfast at the hotel drive south passing typical villages until you reach Ronda. Time at leisure to admire this town of Celtic origin and the marvelous view of the valley and mountain range. 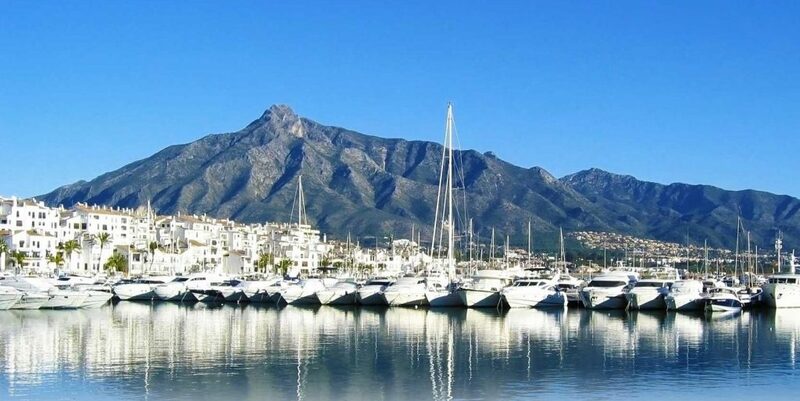 Continue on to Costa del Sol, one of the most modern and important international tourist areas. Spend the afternoon at leisure. Dinner and accommodation at the hotel. Breakfast. 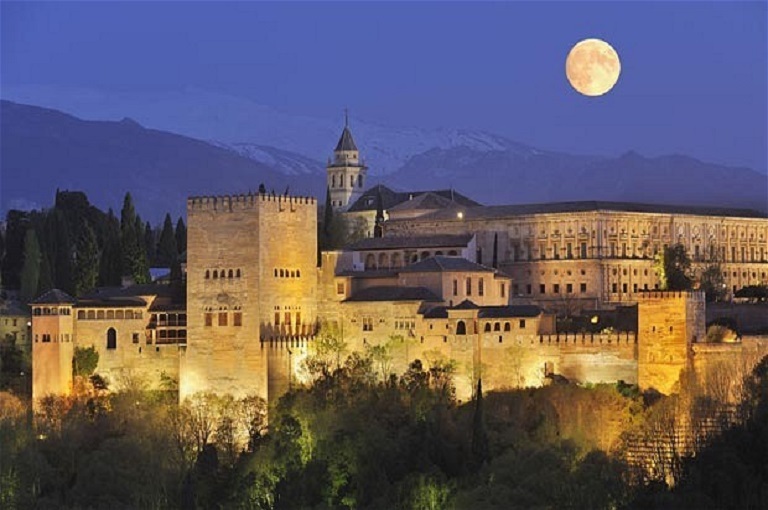 Depart towards the city of Granada, last stronghold of the Moorish Kingdoms up to 1492. Visit the world famous Alhambra complex and Generalife Gardens, that have inspired several authors, such as the “Tales of the Alhambra” by W. Irving. Dinner and accommodation at the hotel. Optional Gipsy Flamenco show at Sacromonte quarter. Breakfast at the hotel. 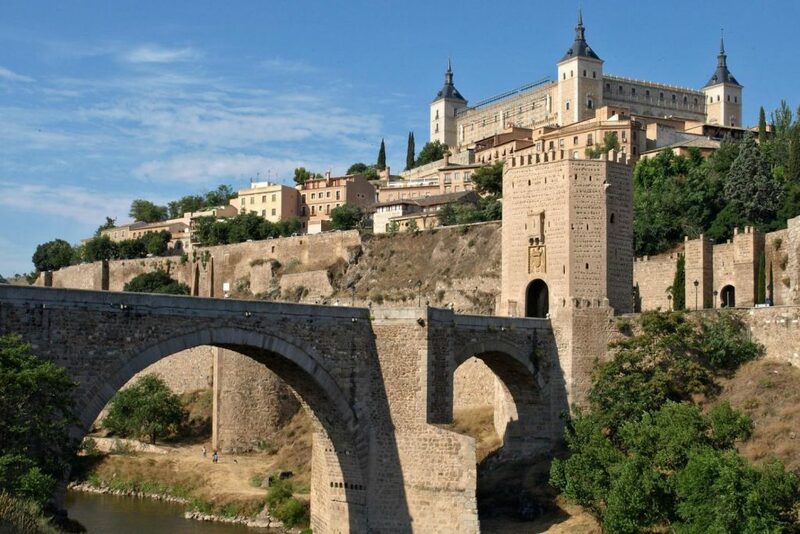 Drive northward where it emerges, toward the sky of Castilla and surrounded by the Tagus River, the impressive Imperial city of Toledo –World Heritage City- where the three cultures Christians, Moorish and Jewish, have lived together. 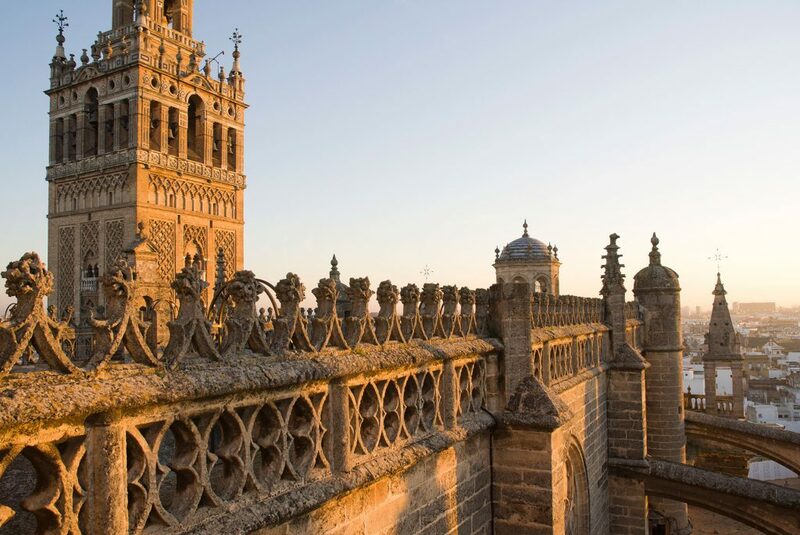 Filled with Spanish art, history and spirituality, the whole town is considered a National Monument. Take a short guided tour of this historical old town through its narrow streets. Then proceed with a visit to a famous “Damasquinado” (gold and silver inlaying in iron) factory. Continue to Madrid. Accommodation at the hotel. Transfer to the airport after breakfast at the hotel. End of tour.